Pastor Winslow was born and raised in Baltimore Maryland. She was saved and baptized at the age of nine at Fountain Baptist Church in Baltimore. 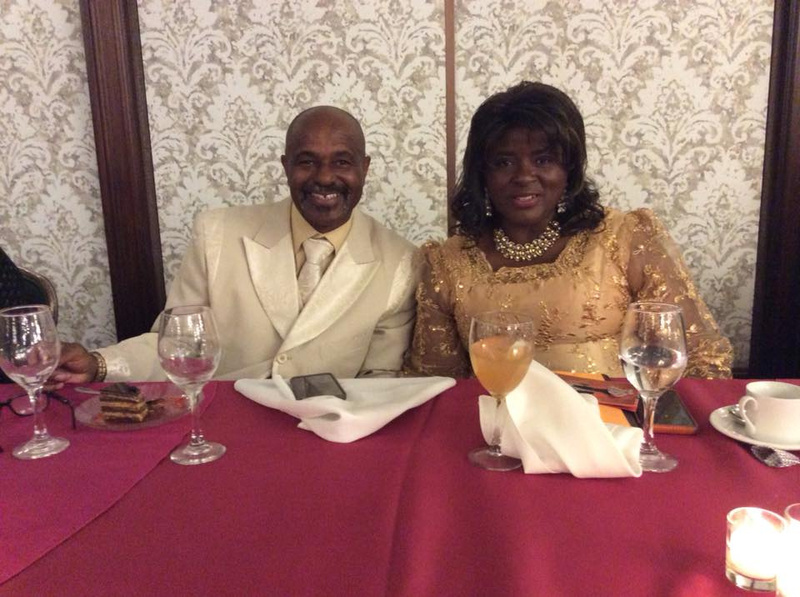 She later met and married her husband Bishop James A. Winslow, Jr. Their marriage has endured 36 years and four children. Bishops, Pastors, Ministers, Leaders and Saints of the Lord speak of her as being humble and powerful. Endurance would be her pet name if she had one. They describe her as a strong, anointed woman of God who demonstrates the power of God when she preaches, teaches, counsels and prays. The power of God also speaks through this servant under a prophetic anointing. All she desires is to live her life as a channel through which God can be revealed and manifested for the purpose of winning souls for Jesus Christ. Her calling is to walk in unison with her husband in all aspects of ministry; to lead the body of Christ "Beyond the Veil" and into the presence of God; to be a living testament and example for the body of Christ; and to fulfill the vision of "The East Gate". Pastor Nancy's ministry "Beyond The Veil Ministries, nrlw, Inc." was established in 1998 to help the helpless and the poor. In June, 2000 she was ordained as an Evangelist of Solid Rock Pentecostal Church of Christ, Disciples of Christ, Baltimore, Maryland; and in January, 2001 she was ordained as Senior Pastor of Solid Rock Pentecostal Church of Christ, Disciples of Christ. In June of 2009 she graduated from Baltimore School of the Bible and currenty serves as Pastor of Power House World Ministries. She is currently working towards her Doctorate Degree in Psychology at University of Maryland. A few of her many accomplishments in life include; the establishment of Little Angels Day Care for low income families; the establishment of "Designers Original Lap scarves" one of a kind lap and body scarves sewn by the hands of this anointed servant and placed on the altar for prayer that the receiver will receive unusual and extraordinary miracles in their life according to Acts 19:11-12. In November, 2002 Pastor Winslow's first book "Who Let the Dogs Out (Breaking the Spirit of Jezebel)" was released and has reached phenomenal heights in the lives of young people. Also, in November, 2003 her second book entitled "Through the East Gate" was released. It is the voice of God calling his remnant of people in for the harvest. In addition to preaching and teaching the Gospel of Jesus Christ, Pastor Winslow also mentors and encourages other women (first ladies, pastors, evanglists, elders, saints) in ministry. She is a spiritual mother to many (male and female), teacher to some and available for all to do Gods work.